Being a reliable travel company, Vijayalaxmi Tours And Travels based in Port Blair (Andaman & Nicobar Islands), is engaged in offering prompt Passport & Visa Services. Our company is a preferred name among clients for availing Passport & Visa Services. 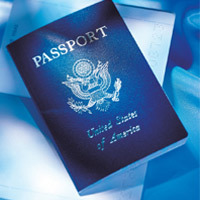 We are with you at every step and you donâ��t need to worry about your passport and visa. We will serve you in the best manner by offering reliable Passport & Visa Services. Leave everything on us and we will offer you Passport & Visa within stipulated timeframe.